Relax, unwind, luxuriate in one of our oval, horse shoe, square or swim spas. Close your eyes and let the power of the jets of warm water and millions of soothing bubbles massage your cares away. Incorporate a swim jet for exercise in our 5.2 swim spa. With ample seating each side and an end entry point, this spa is ideal as an indulgent retreat. This Swim spa may be small in size but it’s surely big on impact. 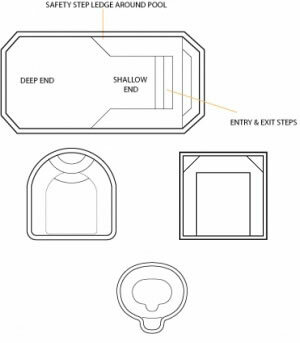 The Horse Shoe, Oval and Square Spa all come in two models with one model having a cleverly designed over flow opening. 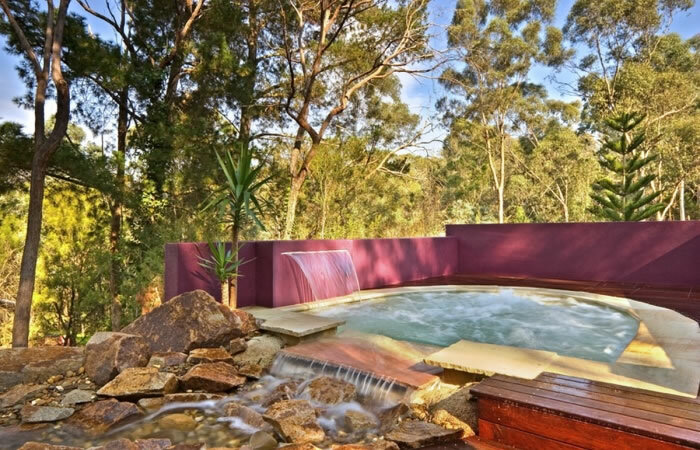 Position this spa at one end of your pool and cascade water into your pool to create stunning effects. Alternatively install it to have the overflow run into an artificial stream or feature. If your property is limited in size, simply install one of our four spa designs, with nine different colours to choose from, relaxed living and the right decision comes easy.